At the height of the banking crisis in 2008-9, Hugh Pym told us in his fascinating talk on May 31st that there was a real possibility that – unless firm action had been taken – cash-point machines would have closed and the Army could have been deployed to prevent riots on the streets of Britain as people tried to get hold of their money. 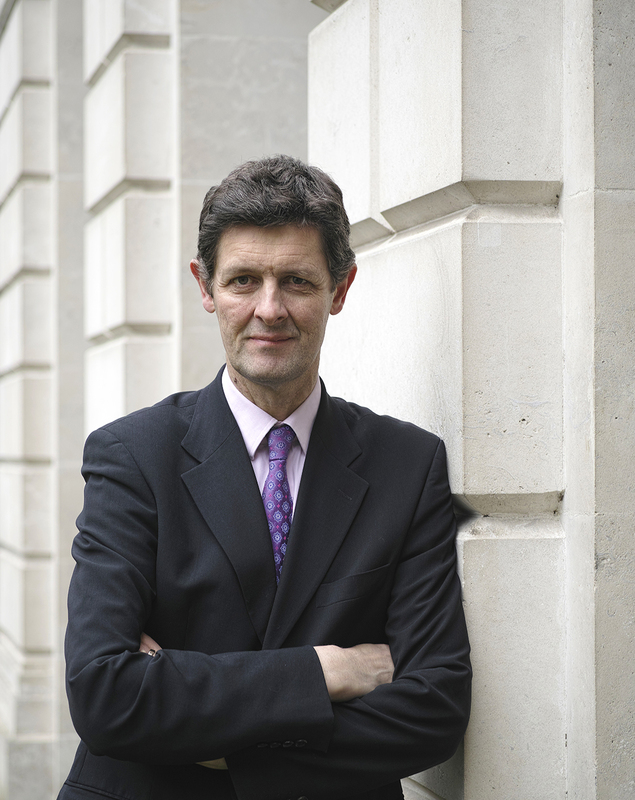 In the end, Hugh – the BBC’s chief economics correspondent – said that total disaster was narrowly avoided at the eleventh hour after a plan was worked out by a small group of ministers, advisers and officials at the highest level of the Treasury and the Bank of England to cope with the financial hurricane that battered Britain. But five years on, he added, voters may still not fully appreciate the scale of the threat to the British economy at the time and the crisis still casts a very long shadow, with growth impaired and businesses not securing the loans they need to ensure dynamic expansion and job creation. Hugh told us that many factors triggered the banking crisis, but some of the most critical were that, in a world of low interest rates and fast-growing developing economies accumulating savings, there was a flood of cash washing around the global economy. Banks lent to almost anybody who wanted to borrow and house prices soared – and people were lent money they were never likely to pay back. Hugh said that traditional banking was based on taking in deposits and lending to households and companies. But shortly after 2000, banks discovered they could borrow money from markets, as well as depositors – and easy profits were to be made as they borrowed from each other, or international investors, and lent to customers at higher rates of interest. The authorities allowed markets to think that the largest banks were too big to fail and would always be bailed out if there were no other option. It was bound to implode, Hugh added, and it did – and at the time there was no repair kit for a banking system on the verge of collapsing, once confidence inside the markets had evaporated. So far, the British taxpayer has paid out £66 billion to shore up the system as part of an episode which has been a defining moment in post-war British politics and economic history. At the centre of the gravest crisis facing the UK in modern times storm was the then Prime Minister, Gordon Brown, and the Chancellor, Alistair Darling - and Hugh contended that they both rose to the challenge. They took momentous decisions on the part-nationalisation of Lloyds, which was taking over the stricken HBOS, and the Royal Bank of Scotland – aided in implementing the plan by Baroness Vadera, a Treasury minister, and Lord Myners, a former City grandee, who found himself in a fire-fighting exercise only days into the job as a junior minister. 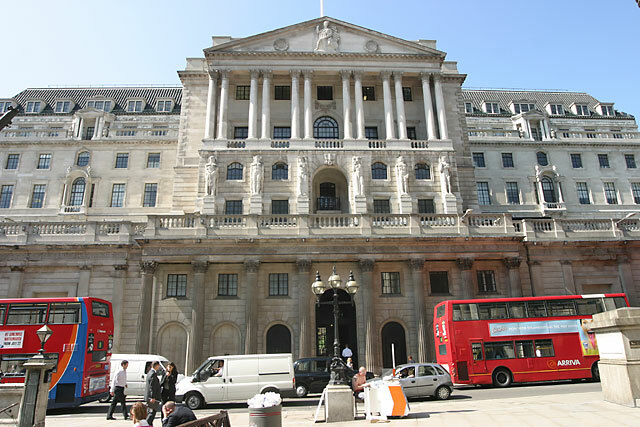 And at the Bank of England was the towering intellectual presence of Mervyn King, the governor who was at the helm for a crisis that none of his predecessors had faced over the previous three centuries. Hugh told us these people all found themselves at the centre of an unprecedented financial disaster, with the banking system so close to the edge – and there was nothing in the textbooks or civil service manuals offering advice on how to tackle such an emergency. 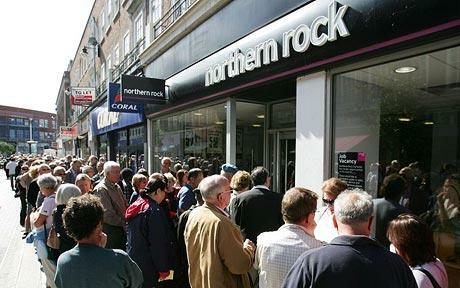 However, they had learned valuable lessons during the Northern Rock crisis in August 2007, when Britain had been caught napping by a funding market crisis. In just a few weeks, the bank had fallen apart in an event which showed the system was seriously under-prepared for such a crisis. In the following months, Hugh added, memos were sent to Downing Street and the Treasury, offering reassurance that British banks were capable of plugging holes in their balance sheets. However, unknown to the markets and media, the mortgage giant HBOS was on the brink and its share price plummeted as rumours swept through London. Hugh told us that, in August 2008, as London emptied for the holidays, there was no sense of the gathering storm. 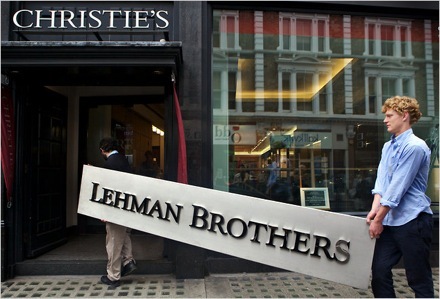 Then, the crash of Lehman Brothers in the US in mid-September sent shock-waves across the financial markets and in the corridors of power on both sides of the Atlantic – and it changed the face of British banking overnight. The ailing HBOS fell into the arms of Lloyds, whilst Bradford & Bingley closed its doors one Saturday lunchtime and never reopened them again as an independent bank. A pivotal moment then took place on October 7th 2008 when Sir Tom McKillop, chairman of RBS, telephoned Alistair Darling to tell him that his bank would run out of cash that evening. Some feared a bank run at RBS and crowds on the streets and social disorder. After an all-night session at the Treasury, a scheme was hatched to restore calm with its readiness to inject hundreds of billions of pounds into the system – but, within a few days, the financial markets were in turmoil once again. And in a manner which would have done justice to seasoned thriller-writers, Hugh told us that an agreement was thrashed out between the government and the banks and Armageddon was avoided, but with a heavy price. Hugh said that Gordon Brown’s Labour administration was determined to steer clear of full nationalisation as it was convinced it would ruin their chances at the next general election – because taking RBS and HBOS on to the state’s books would cripple the public finances. The government took a stake of just under 50 per cent in Lloyds/HBOS, with Alistair Darling’s aim to nurse the banks back to profit as soon as possible – and so allow the government to get its money back through share sales. However, the government had paid too much for its stake in RBS and Hugh said that, whilst shares in Lloyds are now being sold off, the privatisation of RBS today still seems a lot further off – indeed, some senior officials at the Bank of England and the Treasury now think it would have been better to break up RBS entirely. During a robust discussion following Hugh’s talk, a series of probing questions were asked, including one which claimed recent experience showed that capitalism had failed. Another suggested the fall-out from the crisis was still evident on a daily basis for small businesses, with loans still hard to secure - and the country was far from being out of the woods. Over 130 people attended Hugh's talk, with total proceeds of £836. He also sold 20 copies of his latest book, Inside the Banking Crisis, which had just been published.